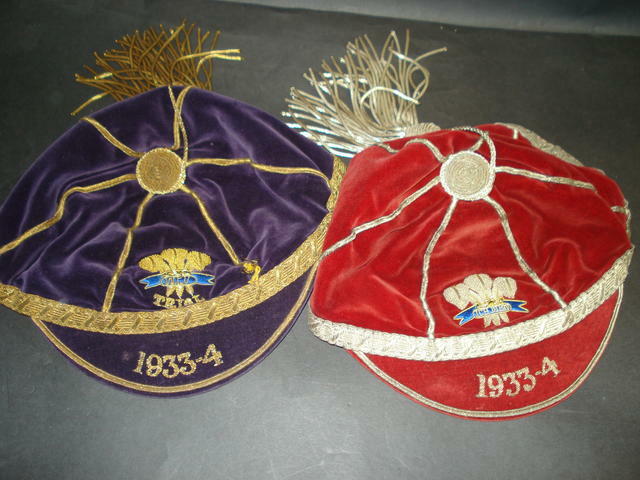 Danny Evans was a scrum half, capped by Wales against England at Cardiff in 1934, who played 80 games for Gloucester from 1945-1949, forming a notable half back partnership with fellow Welshman Willie Jones. He also played County Championship rugby for Gloucestershire and Cheshire. David Dan Evans was born in Barry, Glamorgan on April 7, 1909, the eighth child of a journeyman joiner. He became a student at Cardiff University in his early twenties and trained as a teacher, playing rugby for the university. Moving to the Wirral, Danny was playing for Old Caldeians and his adopted countyCheshire when he was picked for the Probables against the Possibles in the first Welsh trial of 1933-1934. Behind a dominant pack, The Times reported “D D Evans secured a personal triumph with the sureness with which he picked up and passed”. The Probables won 33-6. He was equally praised in the second trial at Cardiff which the Probables won 24-12 and was selected to play for Wales against England in the first home international of the season. Sadly, the Welsh pack were overrun, which, according to The Times, “led to the complete smothering of Evans, a tiny little scrummage half-back who was quite incapable of dealing with a situation that would have tried a man of exceptional strength.” It was to be his only cap. 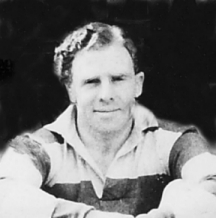 Danny Evans continued to play club rugby for Birkenhead Park and then New Brighton up to the 1939-45 war. After the war, he moved from Bath, where he was now based, to take up a teaching post at Sir Thomas Rich’s School, Gloucester, and joined Gloucester RFC early in the 1945-46 season, aged 35. His first team debut in a 6-6 draw against Cheltenham at Kingsholm was not a success as he was switched to outside half due to Kear’s late withdrawal, but from his first game at scrum half the club realised that they had made a fine acquisition. Outside half Willie Jones joined Gloucester in 1946-47 and for a large part of the next three seasons the partnership between the two little Welshmen (nicknamed the “Welsh wizards”) was at the heart of everything the Gloucester team achieved. Evans’ ability to create an opening and his surprisingly long pass for so small a man gave Jones the time that he needed to work his magic. Their best season was 1947-48 when they played together for Gloucestershire, reaching the semi-final of the County Championship, where the county were surprisingly beaten by Eastern Counties although “time and again Evans and Jones opened up play in their own inimitable way and from almost every move Gloucestershire came within inches of scoring.” Gloucester also had a fine season, equalling their record number of wins, including notable doubles against Bristol, Leicester and Bath. Danny Evans played in the first three games of Gloucestershire’s 1948-49 campaign and was first choice for Gloucester until Christmas. He played a final game as a late selection in a 22-3 win over Blackheath in March, just a month short of his 40th birthday, and retired at the end of the season. Rupert Cherry wrote in the Citizen that one of Evans’ personal records was that no scrum half had ever scored a try against him. We found it on the internet, when the caps were offered for sale by an online auction house 6 or so years ago. If you Google images for “DD Evans rugby cap” you can see one of them is apparently up for sale again – at a hefty price! Where did you get the picture of DD Evans’ caps? Do you know if they have been preserved somewhere?